A counselor would be happy to speak with you and answer any questions you may have. With several graduate programs leading to a master’s degree, Castleton is a perfect place to advance your career and become more competent in your field. Beautiful in all seasons, Vermont is the perfect destination for your graduate studies, and you can be sure you will receive the transformative, relationship-based education that is the hallmark of the Castleton experience. 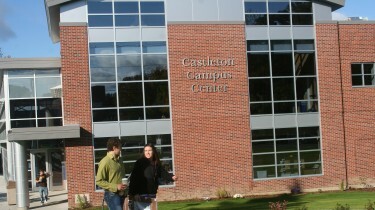 Castleton’s graduate programs maintain a dedication to excellence in teaching and close student-faculty interactions. Whether your program is on campus or in a hybrid, low-residency format, you will have a close working relationship with your faculty and peers. All of our graduate programs are designed to be highly personalized, highly efficient, and affordable. Across all graduate programs, Castleton’s mission is to cultivate the knowledge, competence and preparation you need as an advancing professional in your field.